DMV.com was created to help simplify your life by providing you with all the vehicle related information and Washington DMV services you may need, in one place. Quickly find information and services regarding driving records, vehicle registration, drivers license renewal, license plate renewal, getting a learners permit, and finding a Washington Department of Motor Vehicles approved traffic school. WA residents need a DOL drivers license before they can drive. See how to get a drivers license in WA or perform a DOL license renewal. Ordering Washington driving records online lets you avoid waiting at the DOL. Request a WA DOL driving history online in 3 easy steps. Get the best car insurance rates in Washington at our online car insurance center. Auto insurance is a DMV requirement for WA drivers. Washington traffic school can help motorists obtain auto insurance discounts and more. Learn about online traffic school and its benefits. Taking a WA DMV practice test will help you earn a license. Complete a DMV practice exam to test your knowledge of the DMV drivers manual. Renewing car registration online saves you a trip and a wait at the WA DMV. 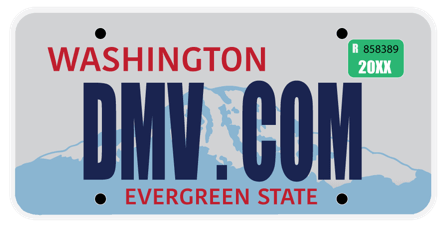 Complete a Washington car registration renewal online today. Washington drivers training is required by the DOL for first-time drivers in the state. Learn more about drivers education requirements in Washington. Learn how to obtain a Washington DMV bill of sale after buying or selling a car. A WA bill of sale records a transfer of car ownership. Failing to pay traffic citations in WA leads to a DMV license suspension or revocation. Learn how to pay traffic fines online conveniently. Washington DUI penalties include a license suspension or license revocation. Learn other DUI consequences and DUI laws enforced by the DOL. Buy a car online in WA to make DOL registration simple. Learn how to purchase a vehicle in Washington the easy way. Find Washington DMV contact info, WA DMV hours of operation and more. A DMV office is nearby where you can obtain services. Skip DOL’s bureaucracy. Check out the best guides for drivers license, vehicle registration, license plate, emissions and other motor vehicle issues online on DMV.com. This practical guide to the Washington Department of Licensing will spare you a trip and help you solve any BMV issues online. It doesn’t matter if you own a car, motorcycle or boat, DMV.com will provide you with the latest news on requirements or forms at the Washington office. As a privately owned site that is not related to any government agencies, we strive to help you get all the info you need on possessing a vehicle/boat from the comfort of your home. That’s not all, going through our large resource of informative articles is a piece of cake. Just use ‘Search’ above or the navigation sections all over the site and you’ll get the data you’ve been looking for. We encourage you to make comments on our pages and speak your mind. With your help we’ll keep on offering the most up-to-date info in the fastest possible way.